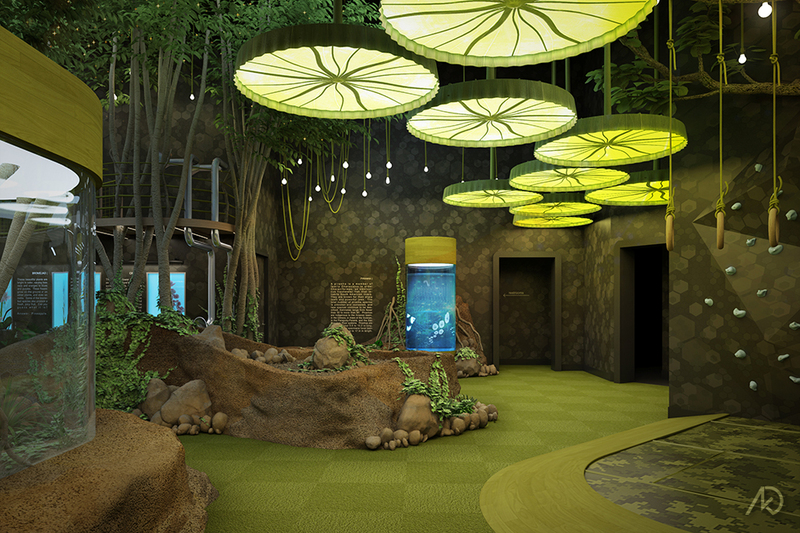 The following 3d illustrations showcase a new design option for an Amazon exhibit/play area within Sea Life’s Michigan complex. 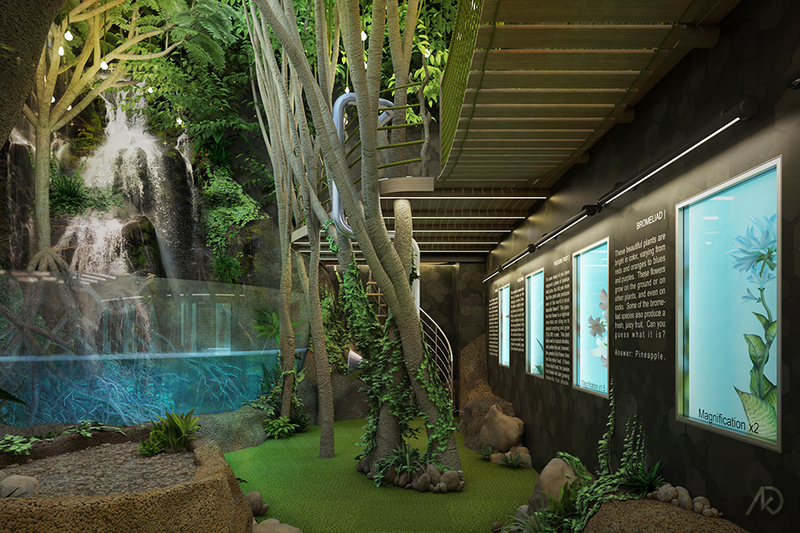 A main feature of the design is a large cascading waterfall, which empties into a 5,000 gallon tank that simulates the Amazon river bank – where the children can learn about the complex river ecosystem. 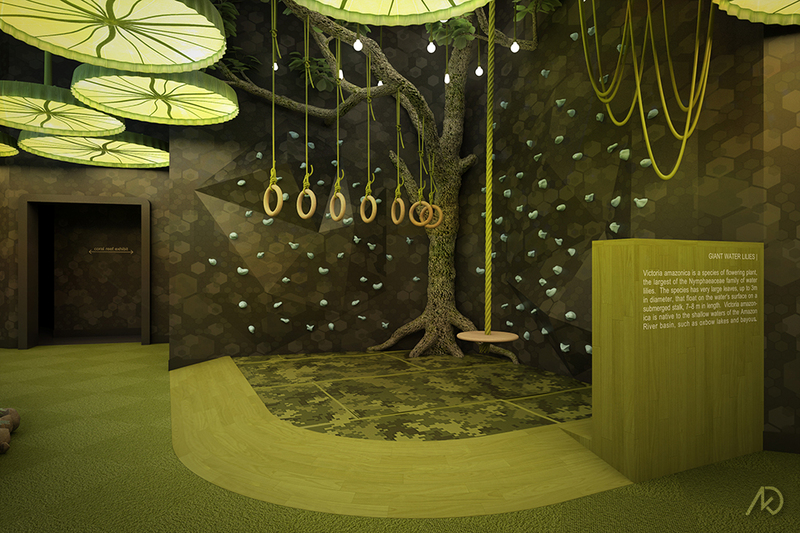 provides a hands-on play area where children may hunt for treasures and small souvenirs to take home. There is also a large dry tank to house reptiles of the Amazon as well as a smaller Piranha tank. 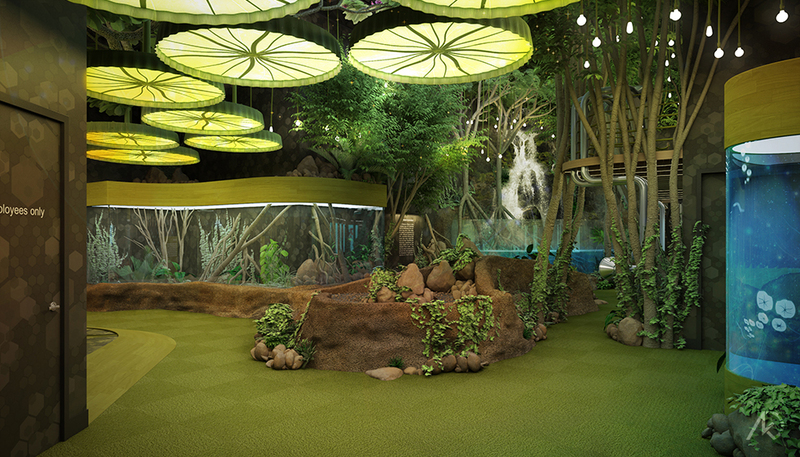 Along one wall there will be large display cases showing some of the vegetation along the Amazon. 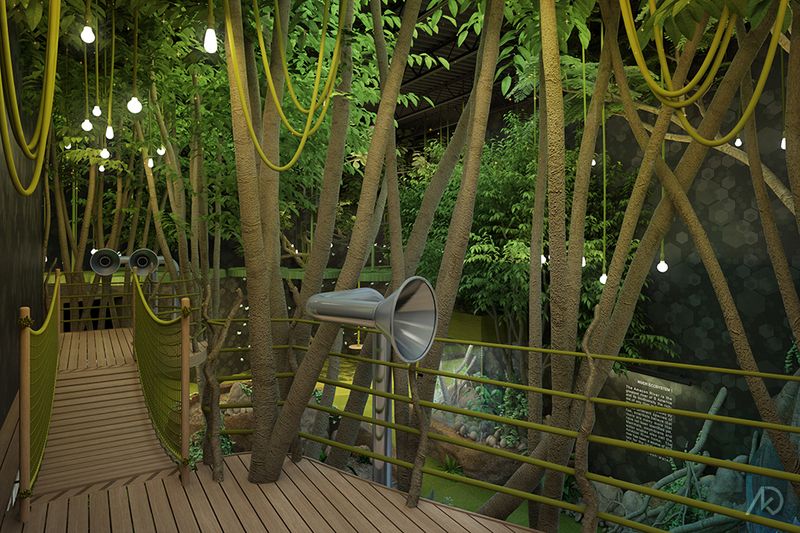 of the space while listening to sounds of the Amazon through metal tubes. 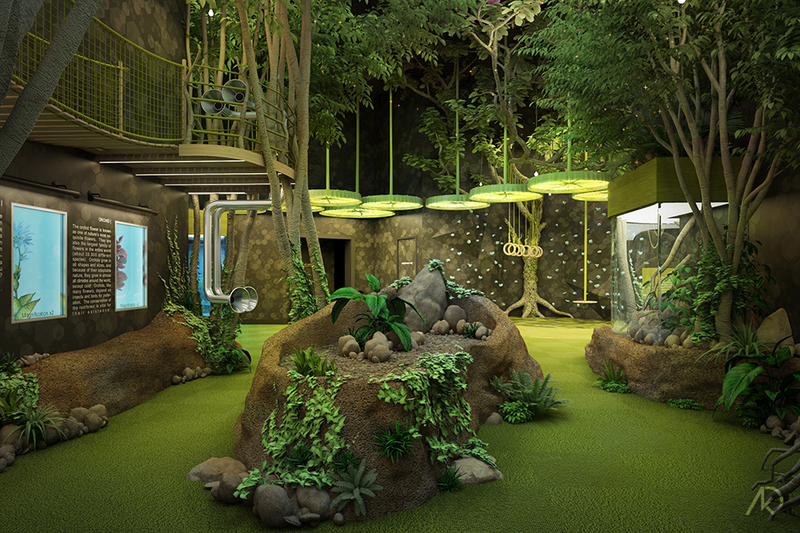 There is also a soft-play area where children can swing and climb as if they are enjoying life along the Amazon. 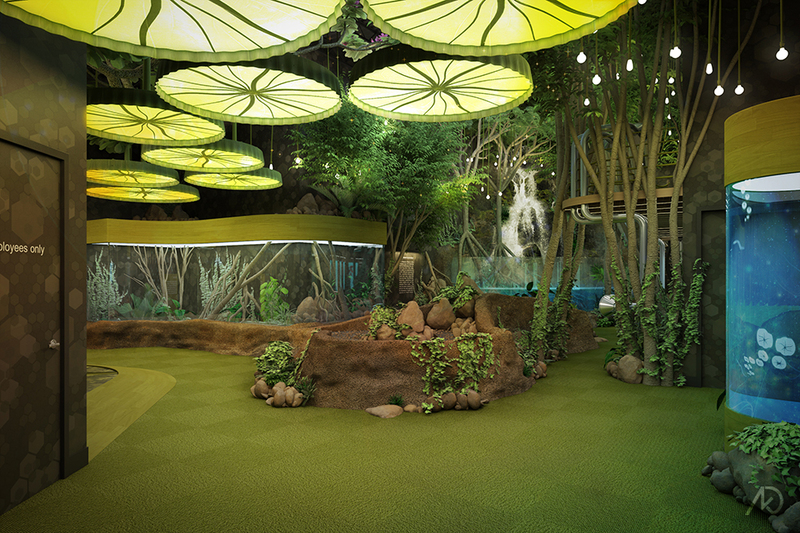 All of this activity is located under the canopy of trees and inverted Giant Water Lilies, which help to drop the scale and act as pendant light fixtures. 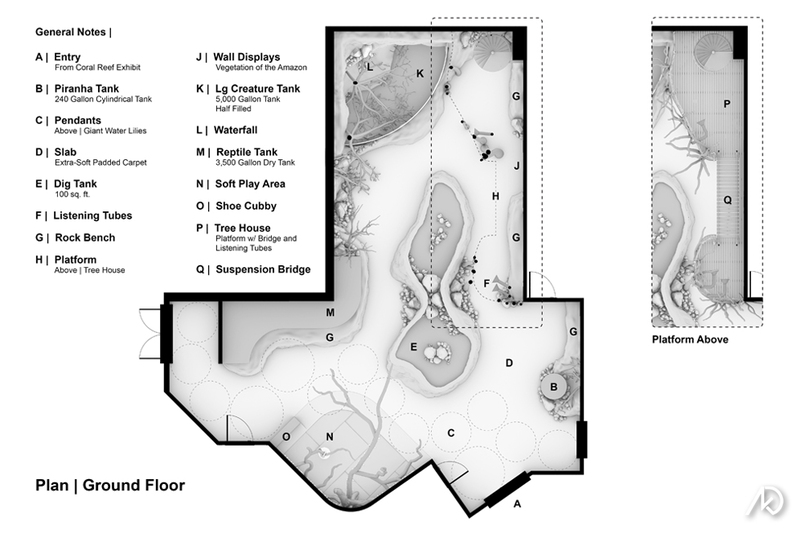 Upon entry from the coral reef exhibit, one can see most of the main features withing the space. One enters under the low hanging Giant Water Lilies as they cast a warm glow into the space. 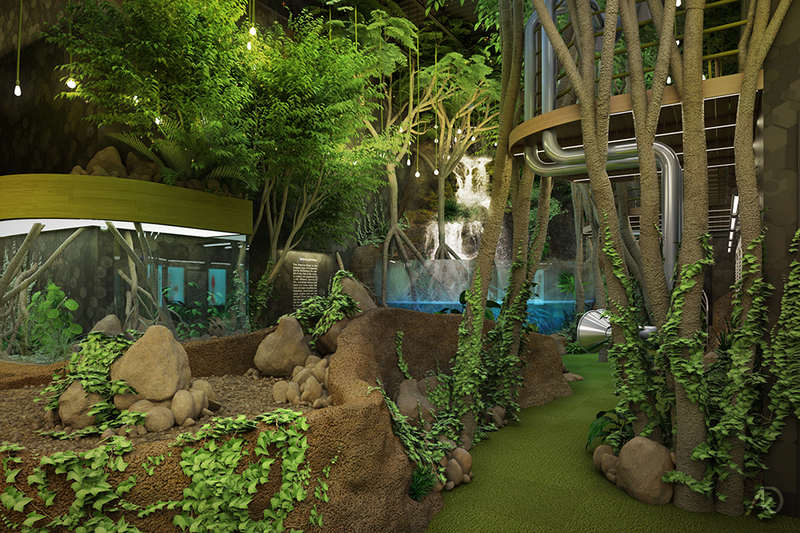 A direct line of sight was given to the waterfall in the rear as well as the large dig tank located in the direct center. The tank on the right houses the Piranha while the large dry tank on the left will house reptiles. The following images show the different views along the path of travel throughout the space. They start just beyond the entry by the Piranha tank, pass by the display cases, go up to the tree-house platform and back down, travel around the dig tank, travel in front of the soft-play area, and then look back toward the Piranha tank.